Here at Mickey Thompson Tires, we talk a lot about being a part of the legend that is the racing hero Mickey Thompson – heck, it’s even on our logo if you look carefully. For the uninitiated, it may seem like we’re making a big deal out of one man…but Mickey Thompson wasn’t just any racing daredevil. Equal parts skilled driver and genius innovator, he not only holds more racing records than anyone on earth but is also credited with numerous inventions that revolutionised the tyre industry. The wilds of Baja, Mexico played an integral part in forging the Mickey Thompson off-road legend. Mickey’s original passion was for speed and his greatest dream was to break the land speed record set by Englishman John Cobb in 1939. (He would eventually achieve worldwide fame as the fastest man on earth in Bonneville.) Most of the tyres he worked on were made for the purpose of achieving high speed on the racetrack. Mickey proceeded to build some of the fastest off-road cars ever made and tyres to go with them, with the help of his longstanding business partner Gene McMannis. These tyres would pave the way for the modern Mickey Thompson Baja range. 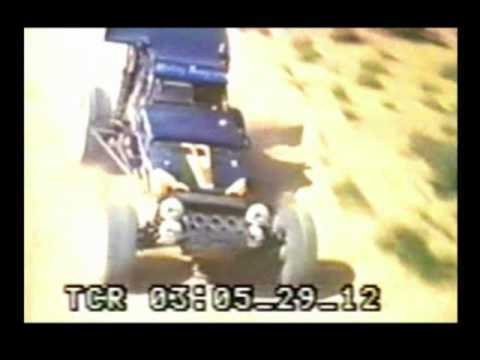 Mickey’s goal was to win the Baja 1000, a gruelling race through the Mexican desert with a reputation for testing drivers’ endurance to the limits. In 1982 he and his crew moved to Baja to battle against more than 200 competitors for the crown. Ten hours from the starting line, the tough terrain finally claimed Mickey’s car as a victim. He was delayed 45 minutes while his crew resolved a brake problem, watching as other competitors blazed past him to decimate his hard-earned lead. When Mickey got back behind the wheel, he was determined to pass all of them again. In the next nine hours, driving in the dark but never giving up, Mickey finally made it to the finish line. 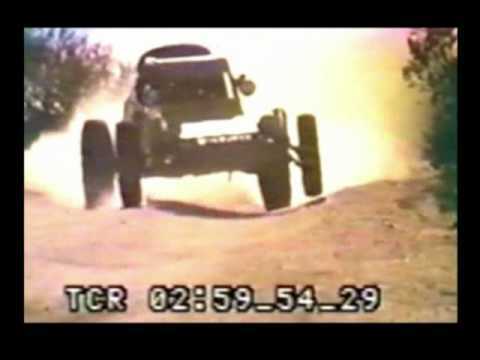 When he got out of his car, he learned that he had not only conquered the Baja 1000 at age 53 but also set a new record of 19 hours, 40 minutes and 23 seconds. Chris Western brings the name Mickey Thompson back to Baja – in his attempt to conquer this unforgiving course starts on 12 Nov 2014. To find out more about our range of legendary off-road tyres, call 1300 MICKEY or contact us.